Reliability and customer satisfaction: two important things that every business owner should always keep in mind when it comes to selling online. With buyers being more careful in terms of online shopping, make sure that your online store provides a pleasurable experience to buyers and this will keep them coming back. 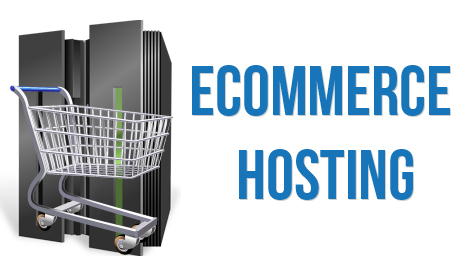 The first step towards having a user friendly e-commerce website is finding the right web host provider for your site. There are a number of web host plans offered by different companies but it is better to go for one that specializes in the field of e-commerce since they can address your issues right away and work on improving the website if needed. Website security builds the customers’ confidence especially since online shopping presents a risk for fraud and identity theft. Secure Sockets Layer or SSL is an important feature that should be included in a web host plan. This will allow a safe gateway for making payments online. It protects personal and credit card information by producing encrypted data as information is a passed along from one computer to another as part of the transaction process. Remember that in any sale transaction, order and payment processing are two different aspects wherein personal information are often included. Without SSL, there is a risk of having the data compromised during the process. Choosing a hosting package that already includes website design will not only save you time but money as well. Designing a website is a tedious task that involves a great deal of planning. This is to ensure that every detail is being considered and the final output will provide customers with a good shopping experience. A number of providers now offer web hosting packages to make it easier for business owners to launch their online stores with ease and in no time. To make online shopping easier, a shopping cart feature must be present in an e-commerce website. Just like an actual cart, it allows customers to place their purchases in one place and proceed to check out once everything is all set. With a shopping cart, customers can browse through several pages of a website and just conveniently click the shopping cart button for items that they want to purchase. Upon check-out and payment all the items will be processed as one order rather than having to pay individually for each. Since more and more people are finding it convenient to shop online as it eliminates the drive to a store and the products are delivered right at the doorstep, online stores should step up and ensure that its customer service is excellent and that the website is easy to navigate.